Precious Cummings came from nothing but was determined to have it all. Using her most deadly weapons-undeniable beauty, body and street savvy brains, Precious sets out to change the cards that she had been dealt. After meeting Nico Carter, a man who can help her achieve her goals, virtually overnight she is on her way. Precious Cummings came from nothing but was determined to have it all. 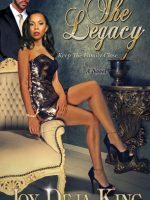 Using her most deadly weapons-undeniable beauty, body and street savvy brains, Precious sets out to change the cards that she had been dealt. After meeting Nico Carter, a man who can help her achieve her goals, virtually overnight she is on her way. 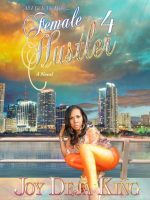 Precious quickly transforms from Project Chick to Hood Queen and is determined to hold on to her position even if it means crossing the man who made it possible. Set on revenge, Precious gambles it all in her quest to gain everything. Just when she believes the dice have rolled in her favor, Precious has to answer for the web of deceit that she has set in motion.